If you’re a flower, it’s pretty safe to say you’re the Queen if a country has crowned you their national flower as the United States did with the Rose. Plus, if you have a world famous parade (Pasadena, California’s Rose Parade) and NFL bowl game (Tournament of the Roses) named after you the deal is pretty much sealed. And, so, a Rose by any other name is the undisputed Queen of the Flowers. She wears her glorious crown with grace and sales of her drive a gazillion dollar floral industry. Most notably, Rose meaning and symbolism is about love. Lots and lots of different kinds of love! We love that! Red Roses are symbols of love felt at the deepest levels. Its color corresponds to the 1st Chakra the Root or Base Chakra, the Chakra of Desire and Lifeforce. Red is the color of passion and strength so giving Roses lets the recipient know yours is a true love that promises to endure the test of time. Receiving Red Roses let’s you know the bearer is truly passionate about you on all levels – mind, body and spirit. Pink Roses are symbols of unconditional love. Pink is the color most associated with a mother’s love so Pink Roses represent a gentle heart but don’t let the emotion of the color pink fool you. A mother’s heart can turn fierce as the lion when her cubs need protection. Light Pink Roses represent happiness and, so, make beautiful gifts of gratitude. Giving Pink Roses means you love the recipient unconditionally and are celebrating their sweet, giving nature. Receiving Pink Roses means the bearer sees your heart as the proverbial “innocent flower” but does not underestimate your ability to be strong in times of need. 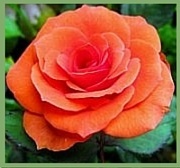 Orange Roses are symbols of passion and creativity. The color orange is the blending of red and yellow. As such it carries the energies of both. Orange is the color of the 2nd or Sacral Chakra, representing vitality and our deepest sense of self. Giving Orange Roses means you love someone so much, you are willing to give them part of your very soul. Receiving Orange Roses, then, it is a great gift and not one to be looked upon lightly. 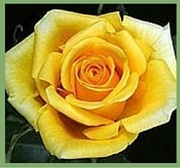 Yellow Roses are symbols of happiness, good energy and creativity. Yellow is the color of the sun and the 3rd or Solar Plexus Chakra. The color yellow represents warmth and abundance (gold). Giving Yellow Roses means you think of someone in the spirit of good friendship and you wish them all the joy and prosperity life can give. Receiving Yellow Roses lets you know the bearer wishes to warm you with their love while lighting your path by supporting you in your creative endeavors. Purple or Lavender Roses are symbols of a highly spiritual love, such as soul mates share. Purple is the color of the 7th or Crown Chakra which represents our most psychic self, our connection to heaven. The color purple is the color of royalty and wealth. 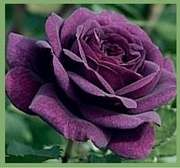 Giving Purple Roses means your love for the recipient comes from the heavens. Receiving Purple Roses lets you know the bearer thinks of your spirit as majestic and they likely fell in love with you at first sight due to their “psychic self” already “knowing” you were meant to be together. White Roses are symbols of innocence, purity new beginnings. These symbolic meanings are why White Roses are so often part of wedding ceremonies. The color white is, also, the color most associated with the higher realms of spirituality – angel’s wings, peace doves, White Chakra (Soul Star Chakra, 8th Chakra), Moon energy, the highest of vibrations “the white light”. Giving White Roses symbolizes a love of the purest and highest intentions. Receiving White Roses portends of a love that may be trusted as it was likely helped along on the wings of angels. 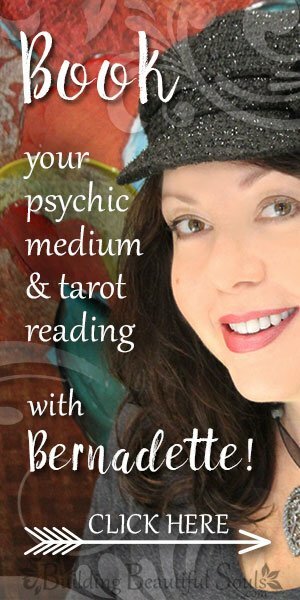 Dreaming about Roses is a strong omen pointing to relationship issues – your passions and desires, your loved ones and friends. The setting and color of the Rose expands the significance of the imagery. 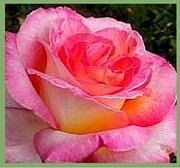 Refer to our Dream Dictionary for more specific Rose dream interpretation values. The Victorians had some social strictures that made open communication between couples difficult at times. So, they developed a silent “language of flowers” in which the Rose plays an integral role. 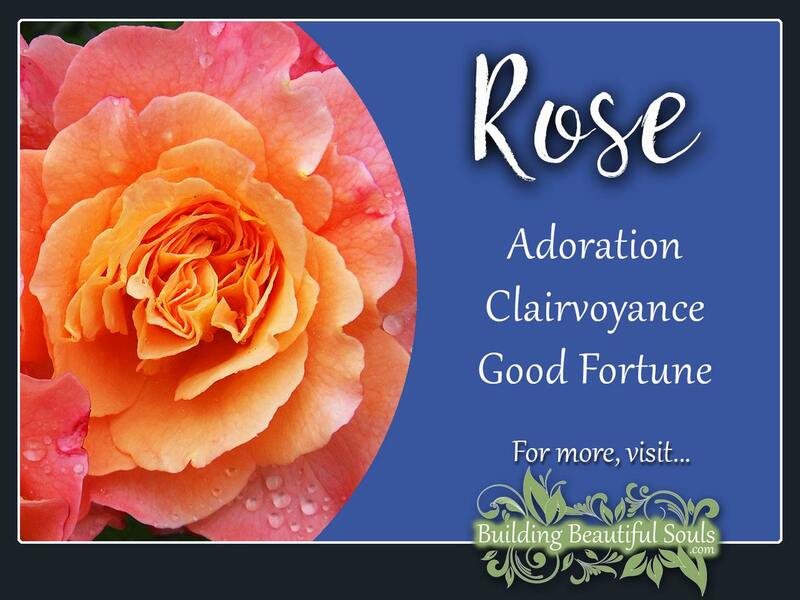 For example a Bridal Rose represented happy love, Coral Roses – longing, Dark Pink Roses– gratitude, Lavender Roses – fascination and Pale Pink Roses – modesty. Flowers feature heavily in Aromatherapy practices. Rose is a favorite tool for aroma therapists because of its versatility. Rose water has natural antiseptic, astringent, anti-bacterial and antiviral qualities. The scent also alleviates depression and tension. Numerology also plays into the meaning of Roses. Presenting a single Rose is single-hearted devotion that stands as firm as the 1 itself. Two Roses acts as a proposal, communicated through the energies of 2 that seek partnership and fidelity. A dozen (12) Roses reduces to the numeric value of 3 (1+2=3), which is why receiving this bundle inspires joy. Healing Crystals: If you’re working with Rose energy and want to amplify that energy with Crystals and Stones, make sure to match the color vibrations accordingly. For example, the fiery Red Rose can be paired with a Carnelian or Bloodstone. A Purple Rose with Amethyst, a Yellow Rose with Citrine, a Pink Rose with Rose Quartz, etc. Roses appear in several of the Major Arcana cards of the Tarot. The Fool card holds a white rose of the novice and seeker consciously trying to understand their Path. The Magician card presents the rose as a symbol of blossoming magic and wisdom in the human soul. 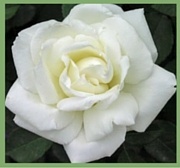 The Strength card reminds us that the most delicate of flowers is not without thorny spiritual protection (anyone who gardens knows that the more you try to cut back a rose bush, the greater it blossoms).Finally, in the Death card the white rose of transformation returns – endings and beginnings. While the rose fades in winter, it returns in glory come Spring. Numerology also plays into the meaning of roses. Presenting a single rose is single-hearted devotion that stands as firm as the 1 itself. Two roses acts as a proposal, communicated through the energies of 2 that seek partnership and fidelity. A dozen roses reduces to the numeric value of 3, which is why receiving this bundle inspires joy. During the Egyptian Era Isis held the Rose sacred as an emblem of virtue and reason. Greek and Roman placed roses under the dominion of Aphrodite and Venus, both goddesses of love. It was in Rome that the term sub-rosa originated. Rooms and gardens where wild roses hung conspicuously were considered secret – all that happened beneath would not be spoken of, including a tryst between lovers. Islamic culture often creates sacred geometric gardens with roses. Here they represent beauty and longing. 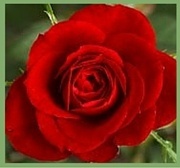 Roses also appear in writings about the Sufi’s quest to become one with the Monad and embrace Divine love. Christians associate the Rose with Mary, an iconic Goddess in her own right. Rose window designs appear in churches all over the world, honoring the sacrifices of martyrs and Christ’s trials. In England red and white roses represented powerful houses. Henry VII introduced Tudor roses to symbolize an end to civil war. In the 1986, the rose became the official flower of the United States. A charming Greek story tells us of the wedding between Psyche and Eros. Following the happy occasion the Graces (Zeus’ daughters) made the entire earth a-glow with roses. This story becomes even more meaningful when we understand that Psych is the embodiment of the human soul being wed to love and desire. This released the magic of roses to all corners of creation. Roman myths tell us that the Rose is a unique blend of cooperation between several powerful Beings. Flora, the goddess of spring, requested that her beloved nymph (who had died) become a flower. Bacchus provides nectar, Apollo grants life, Vertumnus makes the rose’s scent and Pomona created rosehips. Finally Flora crowns her with petals. The thorns are all Cupid’s fault –he missed a shot hitting bees and the thorns grew where the arrows missed. In the New World, Native American stories retell the tale of Nunnshi running from an attack. When she prays to the Great Spirit for safety a Rose bush grows around her and keeps her from being trampled. To this day among Cherokees roses appear at weddings to protect the couple and bring joy.